Samsung Electronics has released its regular financial guidance ahead of the Q3 earnings report that’s expected later this month. The guidance is meant to give a general idea how the company did for any given yearly quarter and compares the results to other relevant ones. Q2 of 2018 wasn’t great for Samsung, with Galaxy S9 sales lower than expected, but Q3 saw the release of the company’s Galaxy Note 9, a flagship smartphone with a $1000+ price tag. 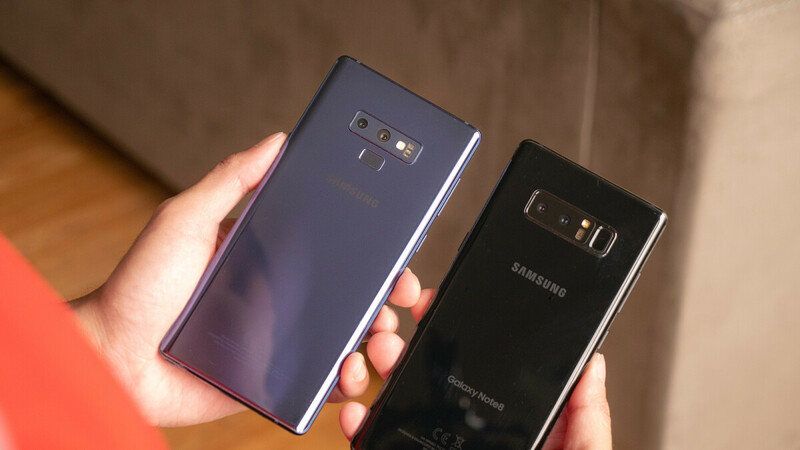 The Note 9 was well received by consumers and experts alike and it seems that translated well into sales for Samsung. Of course, Samsung offers a wide range of electronic devices, but few have a strong financial impact like the one from a highly anticipated smartphone. According to the guidance, Samsung Electronics expects consolidated sales for the third quarter of 2018 to be around $57.6 billion. This is more than a 10% increase over Q2 of 2018 and an almost 5% bump over Q3 of 2017 when the figure was $54.9 billion. In the profits department things are looking even better. Consolidated profits are predicted to be close to $15.5 billion, a good 18% more than this year’s previous quarter and close to 20% more than the results for Q3 last year. Samsung appears to have gained back the lost momentum and even improved its results significantly compared to 2017. With the holiday season approaching and new smartphone releases still to come, 2018 might go down as one of the most successful years for the company. In the backs of Apple, Samsung has become wealthier than ever before. But this streak will not last much longer as Apple is dividing their supply channels into multiple companies. This is literally what we've been hearing the past 6 years... The theory needs updating now that Samsung has clearly shown to be capable of surviving years of Doomsday scenarios. Lol funny but no. Samsung will have more than enough customers as they usually remain at the forefront of hardware innovation. Apple though, will run out of corners to cut and suppliers to kill. They kind of already have hence the super expensive but marginally different than before iPhones. But at least Tim Cook is busy innovating on the stock price, soon he will be a billionaire like the rest of his counter parts and that will be his greatest achievement. Haha, Same old thing. Neither Apple nor Samsung is going down anytime soon. People love to look at Samsung Mobile numbers and say it is end of days. It seems most people forget that Samsung actually BUILDS a device mainly from their own supply chain. Almost all of the build costs of the device gets spread out among all of Samsung divisions. I would be curious to see a breakdown on how much Samsung as a corporation makes from each device.